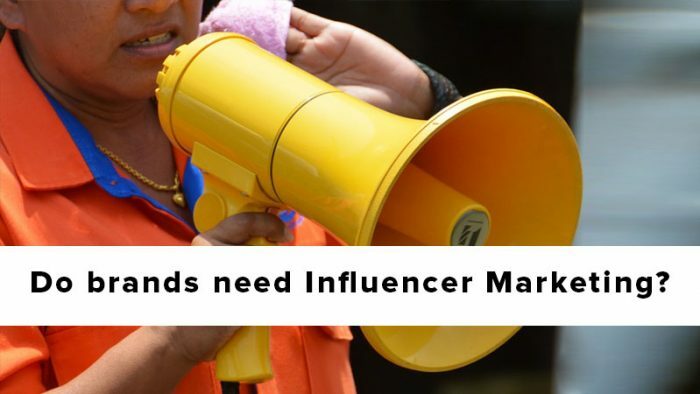 With the advent of social media, Influencers have risen to occasion, boasting of the ability to influence as many as 70%* of millennials through recommendations and more, thus answering the fundamental brand question today: Do brands need Influencer Marketing? The answer is a resounding and affirmative, yes. Over 39% of marketers vowing to raise their Influencer Marketing budgets this year, and the industry is expected to grow upto $10B by 2020. Now why do brands need Influencer Marketing? Apart from the oft repeated and basic advantages of Influencer Marketing such as influencing buying behaviour with nearly 61% consumers relying on social media for information and feedback, and effectively targeting a specific audience, did you know Influencer Marketing offers a whopping 11x higher ROI than traditional marketing channels? So the answer to the question ‘Why do brands need Influencer Marketing?’ is that it is one of the smarter, more cost effective choices, and this Infographic offers you some convincing details to prove the same.